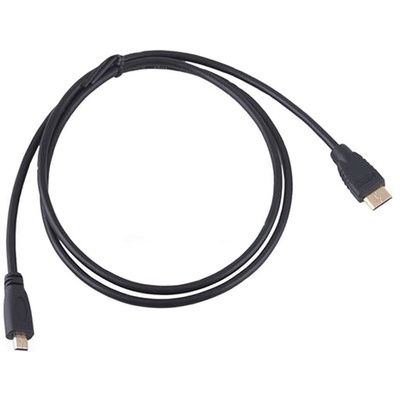 Product #21065 | SKU HDMI-MICRO-MINI-1M | 0.0 (no ratings yet) Thanks for your rating! Use this Micro HDMI cable to bring HDMI capabilities to your smart phone or other mobile device with this Micro HDMI (Type D) Connector to HDMI cable. Even with its small form factor, this cable supports the full HDMI specifications allowing you to connect your Micro HDMI enable devices to big screen HDTV with both audio and video at full HD resolutions. Gold plated pins and ground connections.